2009 was a year that shook the earth for me; unfathomable losses of my mentors, collaborators, peers, and luminaries that I met and admired, and some I wished to have met. Most shared that denominator that they left this world better than it was before them. Those of you who did not meet Craig, who was among those lost in 2009, have been cheated; those that knew him have been robbed. They knew his arresting magnetism, his sensitivity, his humor offsetting his broad wisdom, and depth that stretched out like expanding galaxies. And there was so much more to come from Craig. 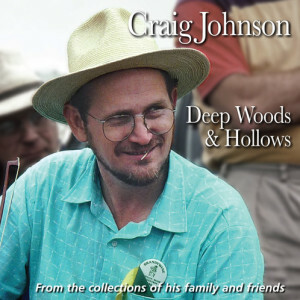 As for the facets of just his musical life, this CD comprises only a few drops from the clear, cool, rolling river that sometimes side-branched off into deep woods and hollows, and that always refreshed those that met him. If you are encountering Craig’s music here for the first time, prepare to be enriched, to reflect, to laugh and to sob, and to dance. As for the rest of you—rejoice in all of that as well, and in his music, here again—and remember.